I have had an eye on this climb since a long time and decided to try it finally before the arrival of winter. Last Friday the weather conditions were perfect for that tough ascent. 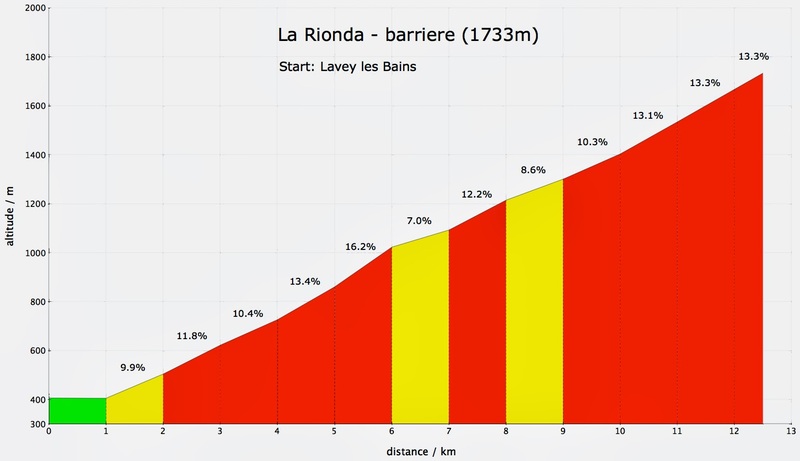 I started in the early afternoon from the parking lot of the SPA at Lavey les Bains. 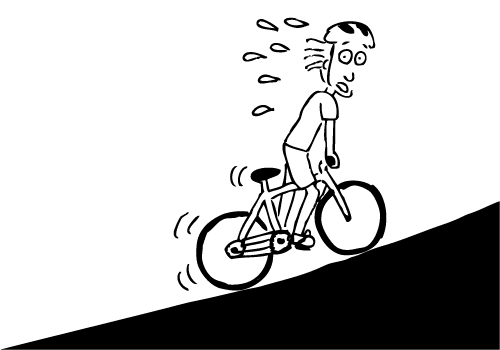 As I had read the decsription of Will Davies about this climb, I knew more or less what to expect. 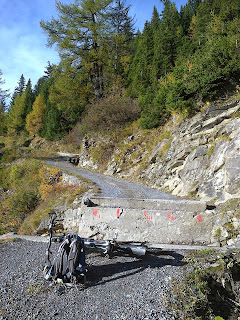 The first 10 kilometers were on perfect swiss tarmac and pedaling up the 29 hairpins to Morcles through the autumn forest was a pure pleasure although pretty hard due to the slope. Many military trucks went up and down that narrow road because just after Morcles there is a military camp. At Morcles I stopped for a quick coffee and an energy bar. The nice road continued steadily uphill and after 3 more kilometers the tarmac ended and a fantastic gravel road started. The slope didn't change a lot and 300 altimeters higher I needed another break. Sitting on the grass beside the road I enjoyed the nice views towards lake Geneva, the valley and the mountains on the opposite side. It was already getting a bit late and I wasn't sure if I would make it to the top at 2200m. 10min. later I was again on the saddle and slowly moving uphill in the smallest gear. After passing the last mountain huts I suddenly arrived at a closed barrier with a signpost saying "Road closed, bridges removed". I couldn't believe what I read and was very surprised as I had not read anything about a possible road closure or bridge removal and so I decided to check it out myself. Passing the barrier wasn't a problem. I continued on a very nice but steep forest road until I hit the first bridge, or better the remains of it. The signpost was indeed no joke, they really had removed the bridges and I was stuck at about 1800m. I took a few pictures up there before returning back to the barrier were I met a hiker who came up by car with the intention to walk to "Cabane de la Tourche", at 2200m. He said he often hikes in that area after work. I shot my last photos and started a nice descent back to the car parking. Exhausted but happy I drove back home and decided to return here next summer with the plan to terminate the unfinished business of climbing La Rionda and Cabane de la Tourche. While searching the web for information on that climb I found out that according to www.climbbybike.com this road is considered the 29th steepest in the world ! Although not having arrived at the top I still felt a bit proud of what I had accomplished...I was only 400 altimeters and 3km below the top.